Stephen Colbert has a text adventure now, and it’s great. Stephen Colbert has a text adventure now, and it’s great. 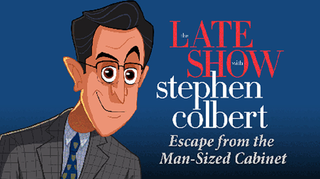 Escape From The Man-Sized Cabinet chronicles Colbert’s adventures while waiting for his new show to start. You can die alone and afraid in a cabinet! Or you can explore a place that’s basically Narnia. Your call.